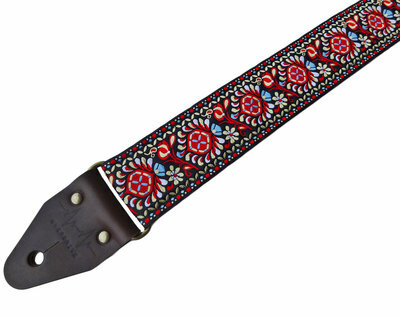 Of course a jacquard guitar strap should be in line with your image as an artist. The delicate jacquard patterns are not popular with everyone. Not to worry, for Overdrive Straps offers plenty of other choices for you. How about, for example, a bold Black Full Leather Strap? The choice on our website is wide-ranging. 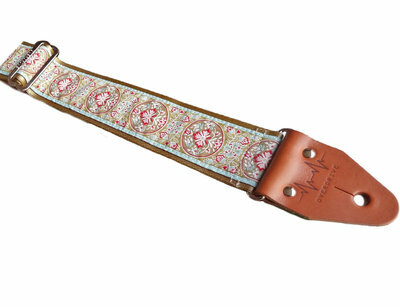 Whichever handmade jacquard guitar straps you prefer, you can yourself add the finishing touch. 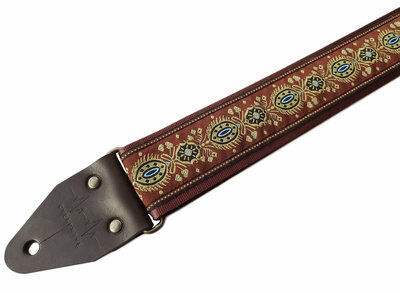 You can in fact customise all guitar straps from Overdrive Straps. 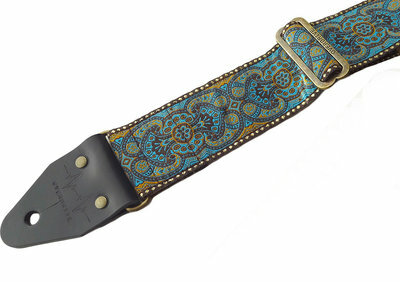 Do you want a different leather or seatbelt colour, hole size to fit strap locks or extra length for your guitar strap? This can be arranged with a few clicks of the mouse. 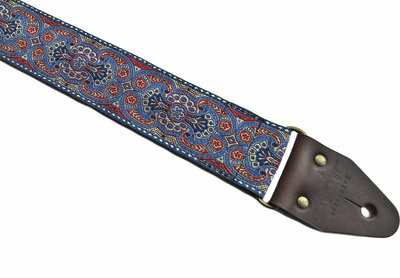 That way you know that you are buying a unique guitar strap that fits you. 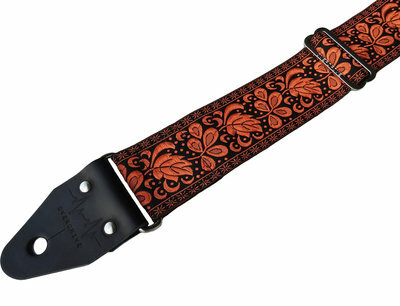 The jacquard guitars straps from Overdrive Straps not only excel in their striking design but combine this with fantastic comfort. After all it is important that your guitar strap feels good when you are playing a difficult solo in the studio or on stage. At least as important as comfort is the lifespan of your guitar strap. When you buy a guitar strap that you really like, you obviously don’t want it to break soon. 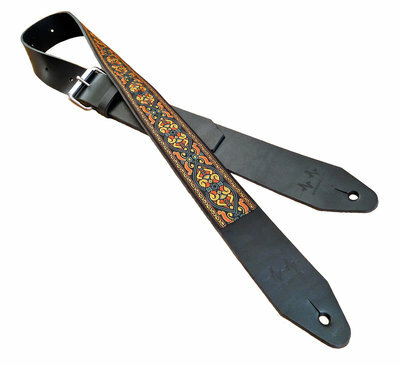 The jacquard guitar straps from Overdrive Straps are therefore made of premium materials such as strong full grain leather, heavy duty hardware and safety belt materials. Our straps are built to last! Need other additional guitar gear? 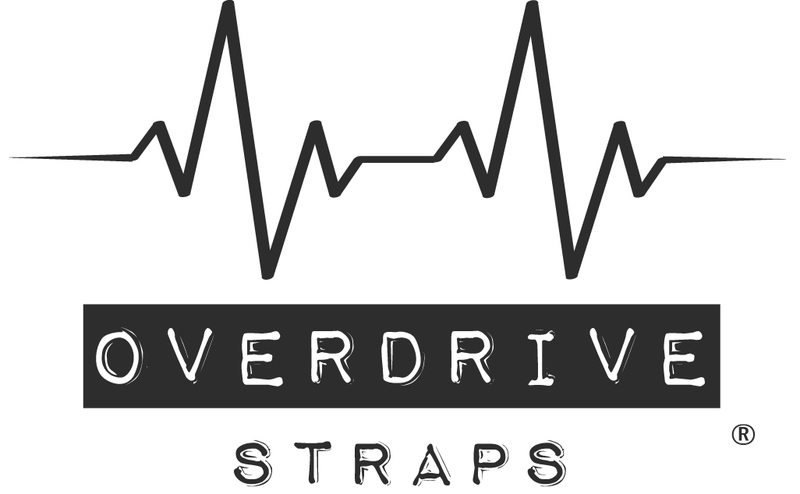 Overdrive Straps is the place to be, not only for funky jacquard guitar straps but also for other guitar gear you would need for your strap. 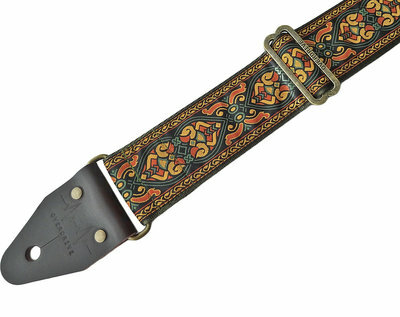 Among our diversity of guitar straps ranging from psychedelic guitar straps to full leather straps, we also sell the famous 'Grolsch Beer Washers' Strap Blocks to ensure your strap stays on during your wild rocking, Waxed Lace for Acoustic Guitars without two pegs to hold your strap and Overdrive Straps Guitar Picks. Classy Eastern style fabric. Backed with comfy and chic vino seatbelt. Leather, & hardware colors all optionable, style it to your taste! Classy Eastern style fabric. Backed with comfy and chic golden seatbelt. Leather, & hardware colors all optionable, style it to your taste!